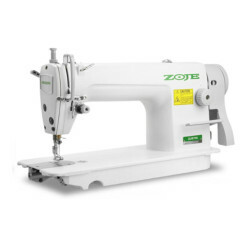 The basic machine and its outstanding response to the sewing of heavy materials! 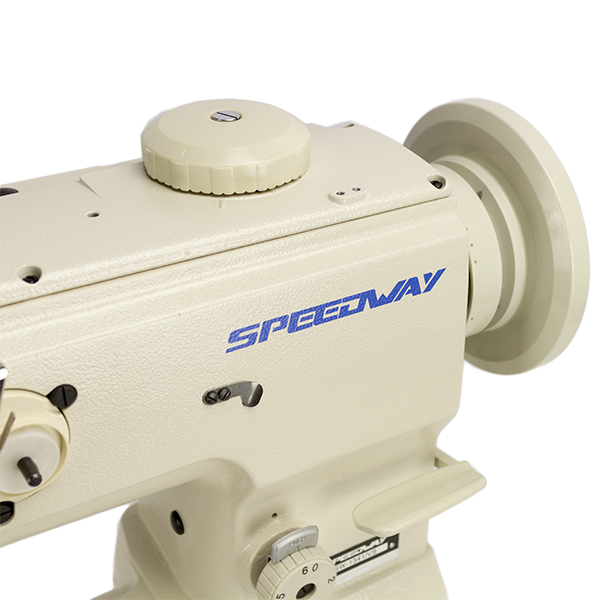 The Speedway SW-1341/VS CYLINDER BED WITH HORIZONTAL AXIS LARGE HOOK, unique feed mechanism promises excellent efficiency of feed. 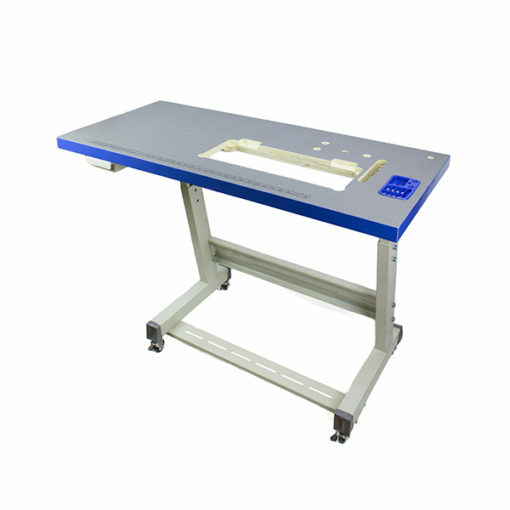 The machine is applicable to an extended range of heavy materials for industrial use, such as cargo handling belts and containers, as well as those for general use, such as car seats, sofas and bags, thereby contributing to both improved quality and increased productivity. Higher lift of the presser foot. 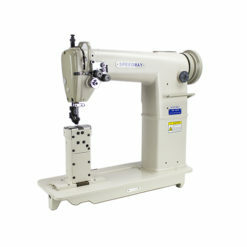 The high, 9mm to 16mm presser foot lift enables easy material handling. 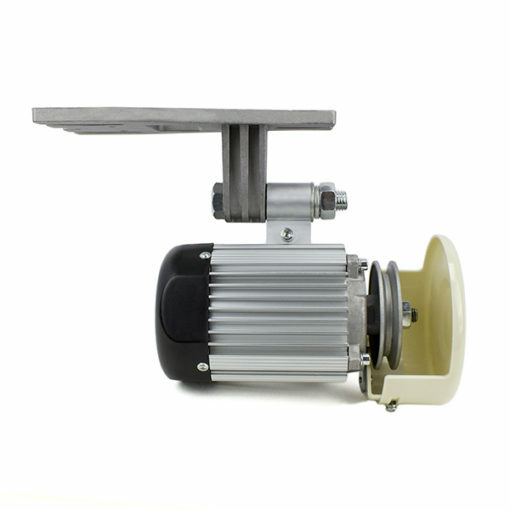 With the adoption of a new rectangular feed mechanism, an alternating vertical movement mechanism, and a unison feed mechanism, the machine can feed heavy materials powerfully and smoothly. 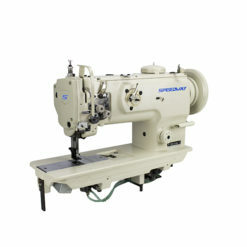 Well tensed seams are consistently produced without pitch errors. 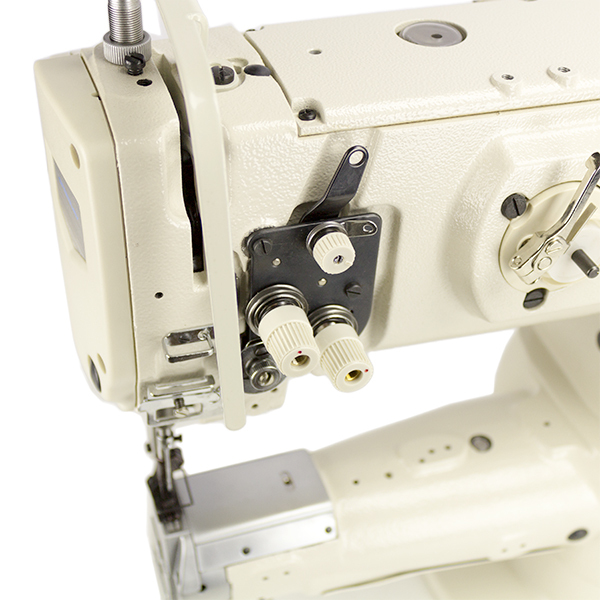 With its maximum stitch length of 6 mm, the machine can be applied to a broader range of uses. 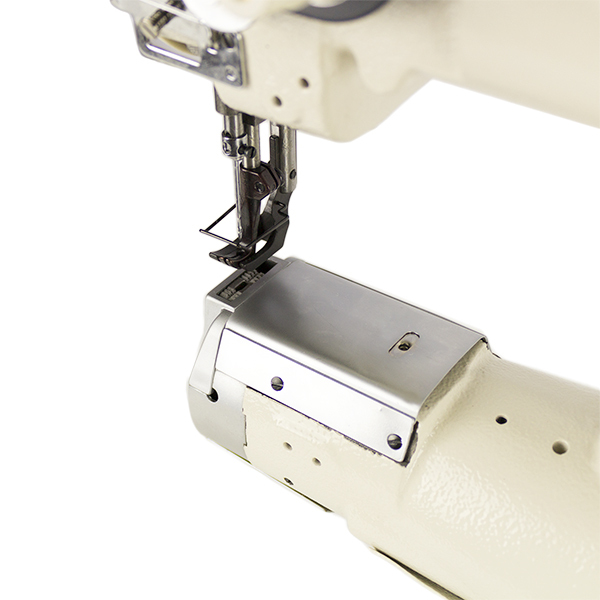 The walking foot and presser foot’s alternating vertical movement can be set and changed with ease. 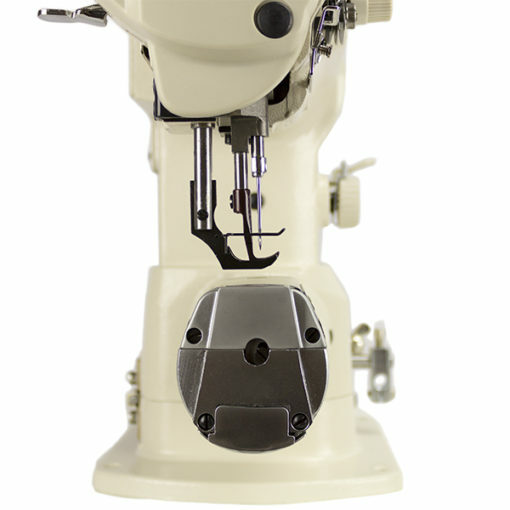 The vertical strokes of the presser foot and walking foot (their alternating vertical movement) can be easily changed using a large dial mounted on the top surface of the machine head. 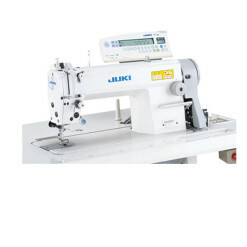 In addition the sewing speed is automatically adjusted with the set value. 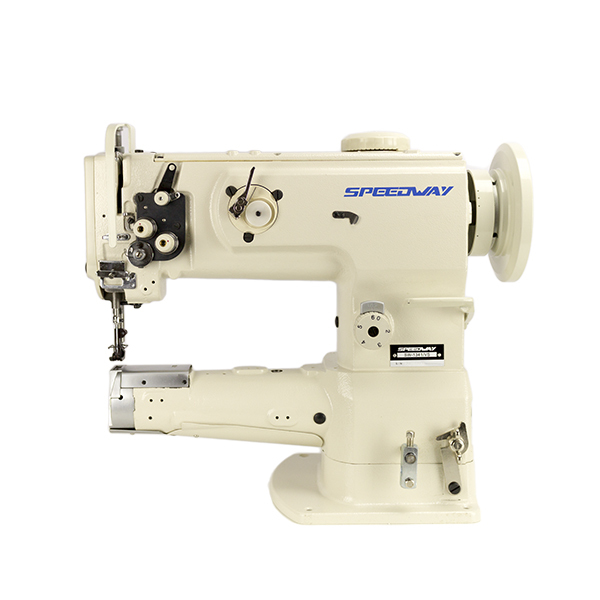 With this feature, ideal sewing conditions are maintained at all times. The machine is equipped with an instantaneous changeover device for alternating the vertical movement amount of the walking foot and presser foot, which demonstrates its capability for processes involving sewing products with a lot of multi-layered portions. 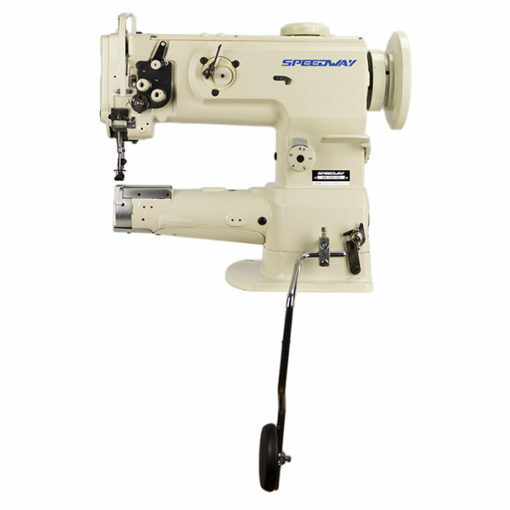 The machine is equipped as standard with a safety clutch for preventing hook breakage. Reset work can be done simply by pressing a button. The machine comes with a dual-tension mechanism. 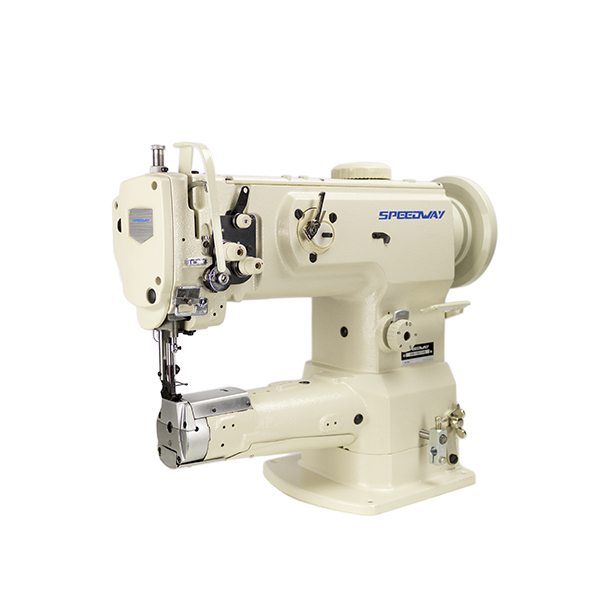 The 1-needle type machine has adopted a dual-tension mechanism, with which the machine can support high-tension sewing with thick thread. This means that the machine produces seams of excellent quality on a broader range of materials, extending from light- to heavy-weight.